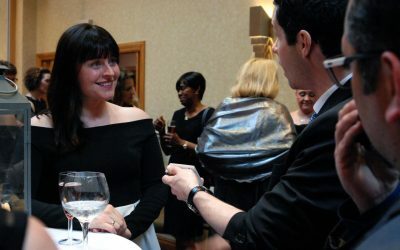 This is mix and mingle entertainment often performed table to table during a meal or walkaround at a bar or cocktail function. This lively, modern form of magic, is a great way to break the ice and add a party atmosphere to the room. 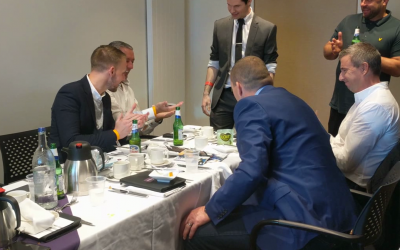 This is a sophisticated magic show in your home or for a small group at dinner. 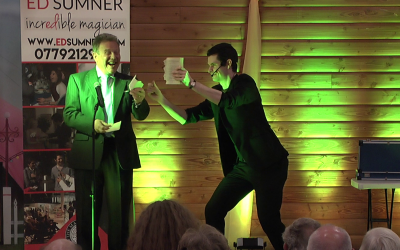 It combines the best of my close up and cabaret magic into a show that everyone can enjoy together. This is a short stand up performance to the whole group, often performed at the end of a session of close up magic. This showcase performance is a great way to round off the magical entertainment and introduce the next part of the night whether that is awards, guests speakers or live music. This is a full scale stage show for up to 400 guests. You’ll be required to fulfil a technical rider that ensures everyone can see and hear me, but having done so you’ll have a grand show that can entertain on a large scale. 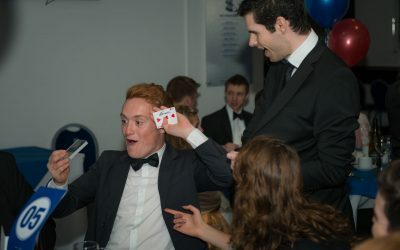 Ed’s magic is perfect for a variety of events, but very often he performs at corporate events, corporate promotions, weddings, anniversaries, birthdays and family events. Get in touch today to discuss your exact requirements. The best way to get an idea on whether Ed is right for your event, is to browse some photos and videos of the him performing, to ensure he’s perfect for you. "I booked Ed and I'm glad to say that I wasn't disappointed. He turned up early and entertained my guests (young and old) with a real sense of commitment and dedication. Feedback from my guests was very positive. I wish we had booked him for longer. I highly recommend Ed. He brought the party to life! "